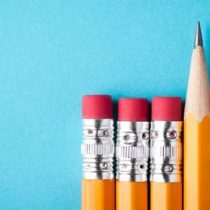 Counting down to the end of the school year can be a great way to celebrate the accomplishments of the year and prepare students for moving on to the next grade. Cheryl Saoud from Primary Graffiti shared her alphabet theme countdown to help you get started. It seems like only yesterday I was separating a pile of stacked desks, hoping to find my gem of a book collection in order to begin sorting through levels, authors, and genres. 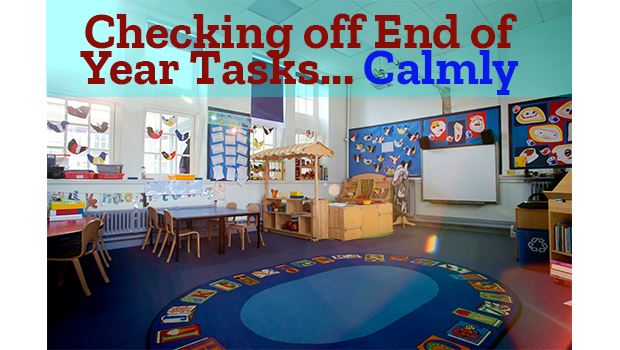 I remember the pain in my lower back from the amount of pushing, pulling, and lifting that occurred while preparing my classroom for what I hoped would be another wonderful year. Today, I sit preparing my final thematic unit, summer reading recommendations, and our countdown days. Everyone loves a good countdown. We nervously anticipate the countdown to the start of school, we excitedly anticipate our countdown to a holiday party, we embrace each other with hugs on our New Years countdown, and now we celebrate the end of the year with an ABC countdown. Although there are many versions for countdown days, the concept remains the same: enjoy your last days together! To build excitement for the remaining 26 days of school, kids celebrate each of the remaining days with the alphabet. Each letter represents a theme for the day. A – Art Day: Students will create a summer craftivity. B – Bubbles Day: Students are welcome to bring in a bottle of bubbles! D – Dinosaur Day: Students will complete dinosaur themed activities. E – Earth Day: Students will create a representation of Earth and the other 7 planets. 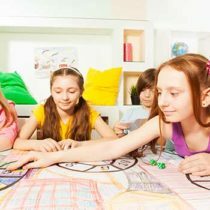 G – Game Day: Students will play board games! H – Hawaiian Day: Students are welcome to wear a Hawaiian shirt. I’ll purchase the lei! I – Ice Cream Day: Students will enjoy ice cream sundaes. Yummy! J – Jersey Day: Students are welcome to wear their favorite college or pro jersey. K – Kite Day: Students are welcome to bring a kite to fly! L – Laptop Day: Students will use laptops and enjoy their favorite websites. M – Movie Day: Students will enjoy a movie and relax! N – Nice Note Day: Students will prepare nice notes to the next year’s second graders! O – Opposite Day: Students will do everything opposite than usual! We will complete dismissal routines in the am and move through the schedule in reverse! FUN!!! P – Picnic Day: Students will enjoy a picnic lunch. Q – Quilt Day: Students will create a class quilt as a keepsake of our year together. R – Rainbow Day: Students are welcome to wear their favorite bright rainbow colors. We will complete themed activities in class! S – Stuffed Animal Day: Students are welcome to bring their favorite stuffed animal. T – Twin Day: Students are welcome to team up with a friend from class and dress alike! U – Unpacking Day: Students will begin unpacking their desks, cubbies, etc. to bring things home. Don’t forget your backpack! V – Vacation Day: Students will prepare a brochure for their desired vacation spot this summer! W – Water Balloon Day: Students will toss water balloons. Bring an extra set of clothes. X – eXchange Autograph Day: Students will collect autographs from each of their friends in class! Y – Year End Clearance: Students will purchase items from the classroom with their remaining classroom money. Z – Zip up and Zoom Day: Students will create their memory books, zip up early, and zoom out for summer break! YAY!!!! I’d love to hear how you celebrate the end of your year! Cheryl Saoud is a second grade teacher from Jacksonville, Florida. She would like to invite you to visit www.primarygraffiti.blogspot.com for additional teaching resources.